Pride takes over the city, Once rocks your heart, LitHop fills Alberta bars with authors and book-lovers, and there are two types of people in the world: Tom Robbins people, and Dolly Parton people (okay, maybe not...). 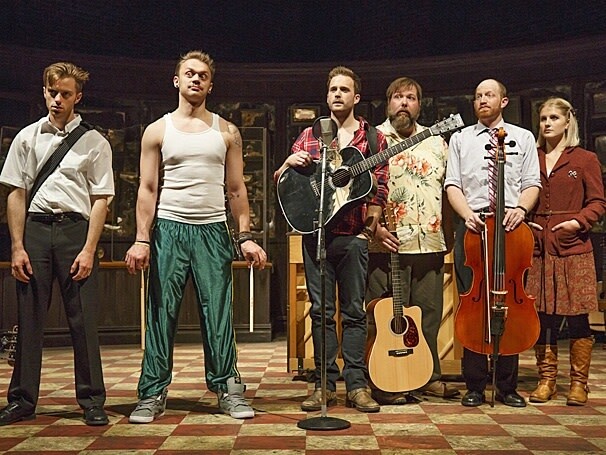 Once stands out from most Broadway plays by managing to be authentic and achingly intimate and still have swelling, boot-stomping, big numbers. Before the show even begins, the audience is invited on stage, where the house band rollicks through a number of Irish folk songs (the stage opens up again during intermission to serve booze). Then the lights dim on the set, made to look like an aging bar covered in mirrors—a simple but hauntingly effective tool—and we're whisked into a working class Dublin world, where a street performer is about to abandon his musical dreams when a young Czech woman falls in love with his songs, igniting a romance too strong for just words. The direction is tight and refreshing—the house band remains on stage and plays both characters and stage hands—and the music at its best is truly spine-tingling. It's no wonder the play swept eight Tonys, plus a Grammy. Once is one of four Irish plays playing June, offering a local PhD of sorts in Irish Lit. That’s a lot of craic to take in, however, so if you’re feeling a bit out of your depth, here are a few things to know about Irish theatrical tradition to help you make sense of it all. This debut show by Badass topped several critics lists of the top shows in 2013. If you missed it the first time, now you have a second chance. 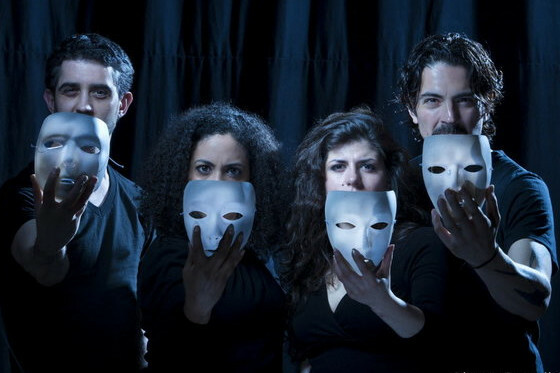 The stellar original cast returns for a production that dare to deconstruct the vague and fearful stereotype of the Arabic male. Parties, parades, art shows and more flood the city for the annual LGBT extravaganza. Want to thrive, not just survive? 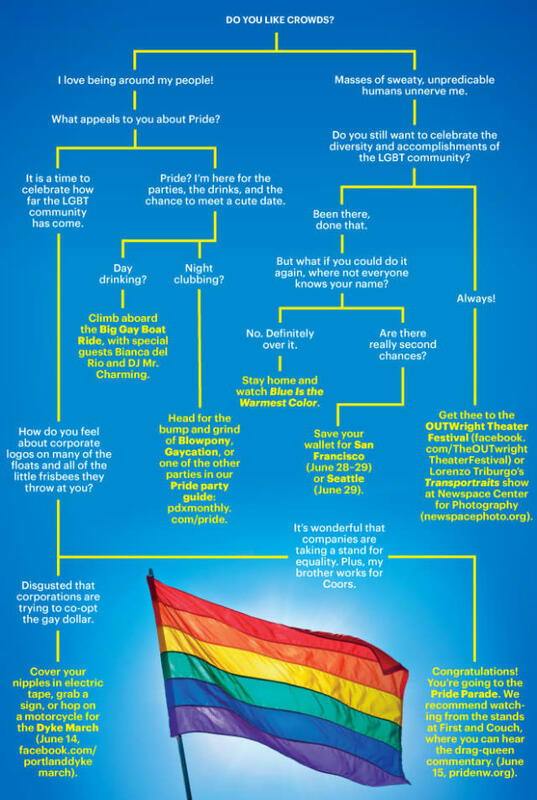 Use our Pride deicision tree to help choose your own Pride adventure. The inaugural LitHop last year transformed Hawthorne Boulevard into a book lover’s bacchanal, as some 700 people bounced from bar to coffee shop to bar to hear dozens of writers read their work. This year, the event hops to Alberta Street. Bring your best librarian glasses and walking shoes. The New Pornographers, featuring A.C. Newman, Neko Case and Dan Bejar (Destroyer), with opener the Pains of Being Pure at Heart are coming to the Crystal on October 8. Tickets now on sale. Portland’s showiest choir breaks out the top hats and white gloves for one of America’s showiest songwriters. Tonight, a devoted coterie of Portland musicians pay tribute to country’s iconic singer by delivering a show that will cover a majority of her hit career. Performers include Rebecca Marie Miller, Tin Silver, Moody Little Sister, Rachael Rice, Darka Dusty, Darlin’ Blackbirds, Carra Barratt Stasney, Cristina Cano, Jeni Wren, Ruth Oliver, and Brush Prairie. Proceeds for this event benefit the Siren Nation Women’s Music and Art Festival. Best known for his enchanting soundtrack for the movie Amélie, this experimental artist mixes classical music with folk, rock, and post-punk. 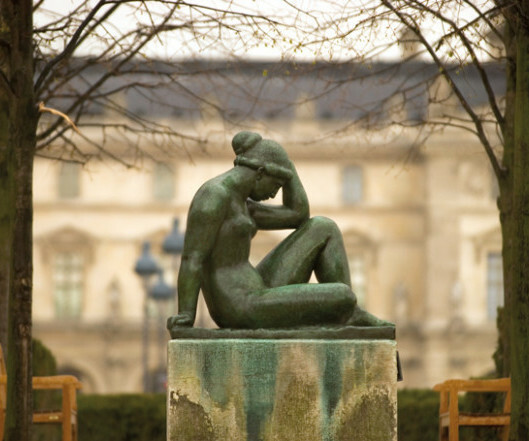 Paris comes to Portland with The Art of the Louvre's Tuileries Garden. This extensive exhibition features over 100 drawings, photographs, paintings, and sculptures by some of the most celebrated European and American artists from the 17th through 20th centuries. Each has been inspired by Paris's famed Tuileries Garden, which is situated between the Louvre and the Place de la Concorde, and this is the first time their work has left its borders for another country. Read our preview. Every summer, NWDP invites us to an intimate evening of dance. This summer’s program features revivals of Tracey Durbin’s full-company work Atash and Gregory Dolbashian’s This Is Embracing, along with two new works. Read our profile of dancer Ching Ching Wong, pictured right. The puppets become the puppeteers in Co/Mission, where the vision for dance changes hands from the choreographer to the hands of the dancers. The evening includes four dancer-choreographer couplings, from Portland stalwarts Linda Austin and Linda K. Johnson to Princess Grace winner Franco Neito. Find yourself generally unable to sit still for classical music? Don’t. Stroll through the charming streets of Irvington to take in five mini-performances on five different porches previewing next year’s season.